Early Spring last year I started a knitting project. There was this beautiful wool in the half price bin at our local yarn shop (Lafayette didn’t know how good they had it with that shop!). It’s a sweet Peruvian merino. I made a pair of fingerless gloves (they are thumbless too). They are an extension of the glorified rectangles that I am so fond on making. And I had more yarn. I bought all they had of that lot. So, I decided to go tubular. Then there was Spring, and Summer, when almost no knitting happened at all. 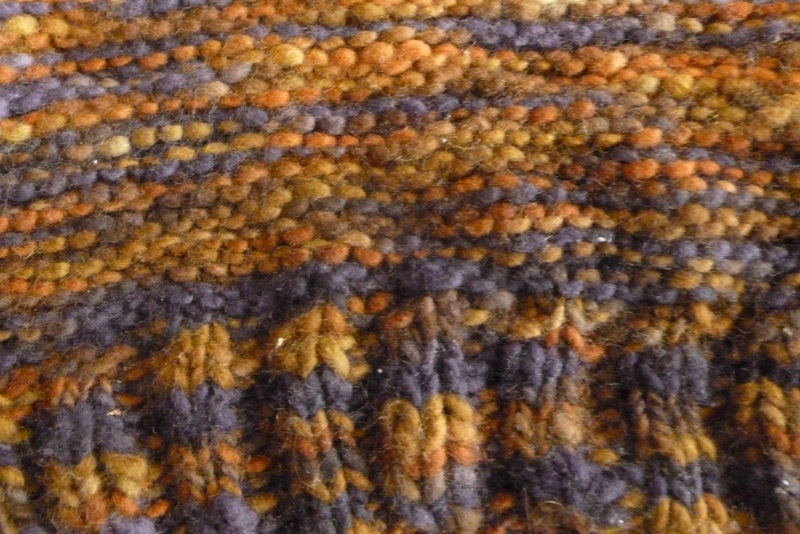 Then came Fall, and it was time to knit for Christmas gift-giving. 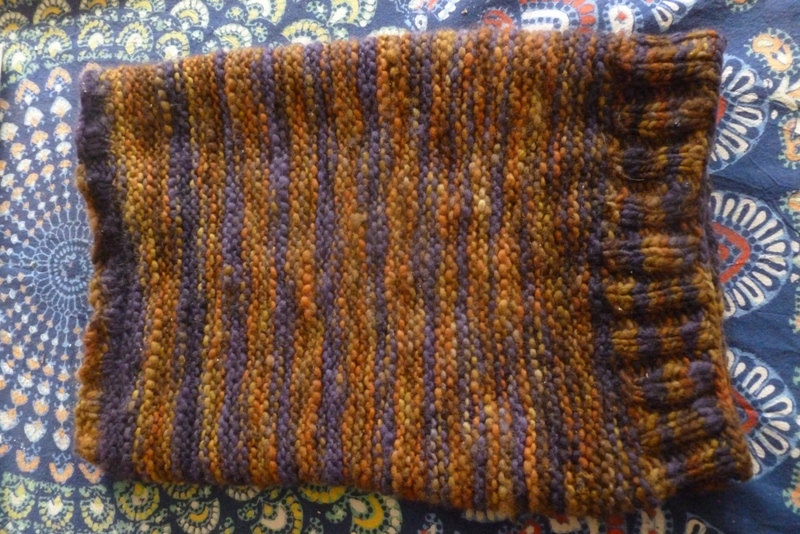 And so, I’m just now finishing my over-sized cowl. It is warm and soft. It can cover my neck and my head, and the colors are beautiful. After such a long wait, in such a cold winter, I’m enjoying it thoroughly. This entry was posted in coree's posts, right now and tagged crafting, hand-knits, knitting, winter, wool by Coree. Bookmark the permalink. Looks great! 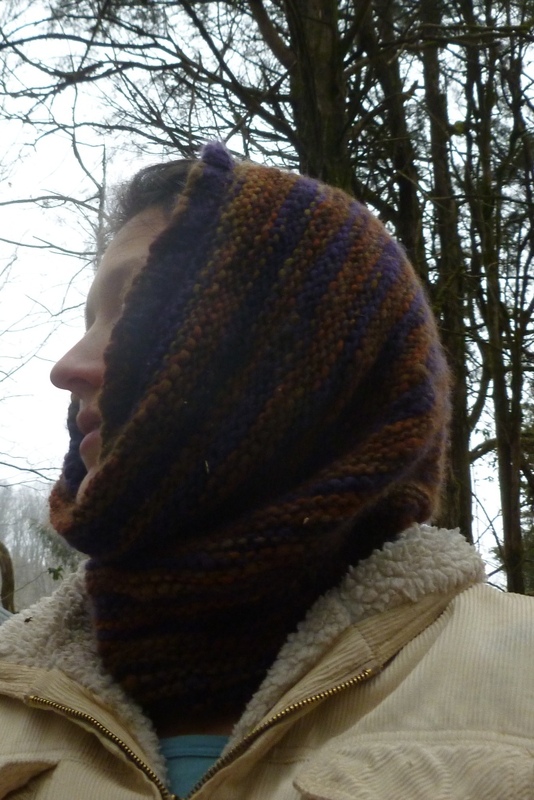 I had plans to start making a cowl for myself, but my husband has just put in a request. Since he bikes to work and wants it for that, his cowl will take precedence. that I am excited to use. Your cowl turned out great!